Oh my crazy, busy, stressful week and it’s only Wednesday. Help! Do any of you other mama’s feel that way some weeks? Well, this week I’m busy inside and outside of my full time day job and this mama is spent. I decided that in order to get through the rest of this week I needed to relax and rejuvenate, but when do I find the time to do that!?! Simple answer: make time. I found 10 simple steps that I can do at any point of my busy day and/or night and they help more than I realize at the time. Hopefully they will help you as well. If you're thinking meditation means twisting your body into an uncomfortable position and uttering "oohs" and "omms" for an hour, guess again. Any repetitive action can be a source of meditation; this includes walking, swimming, painting, knitting -- any activity that helps keep your attention calmly in the present moment. Is your mind too talkative to meditate? Try creating a peaceful visualization, or "dreamscape." To start, simply visualize anything that keeps your thoughts away from current tensions. It could be a favorite vacation spot, a fantasy island, that penthouse in New York City -- or something "touchable," like the feel of your favorite silk robe or cozy sweater. 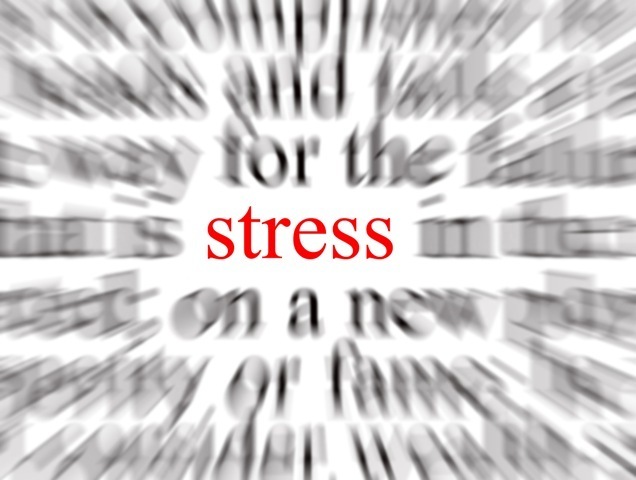 Feeling stressed evokes tense, shallow breathing, while calm is associated with relaxed breathing. So to turn tension into relaxation, change the way you breathe. "Mindfulness is the here-and-now approach to living that makes daily life richer and more meaningful," says Claire Michaels Wheeler, MD, PhD, author of 10 Simple Solutions to Stress. Mindfulness means focusing on one activity at a time, so forget multi-tasking! Staying in the present-tense can help promote relaxation and provide a buffer against anxiety and depression. Practice it by focusing on your immediate surroundings. If you're outdoors, enjoy the shape and colors of flowers, hear a bird's call or consider a tree. As long as you can keep your mind focused on something in the present, stress will take a back seat. If you're a coffee-guzzler, consider going green. Coffee raises levels of the notorious stress hormone, cortisol, while green tea offers health and beauty. Chamomile tea is a traditional favorite for calming the mind and reducing stress. And black tea may be a stress-fighter. Induce the relaxation response by cuddling your pet, giving an unexpected hug to a friend or family member, snuggling with your spouse, or talking to a friend about the good things in your lives; when you do, you'll be reducing your stress levels. Why? Experts say social interaction helps your brain think better, encouraging you to see new solutions to situations that once seemed impossible, she says. Studies have also shown that physical contact -- like petting your dog or cat -- may actually help lower blood pressure and decrease stress hormones. When your muscles are tense and you've no time to visit a pro, try this simple self-massage technique. Relax, and travel straight to Zen-land. · Place both hands on your shoulders and neck. · Squeeze with your fingers and palms. · Rub vigorously, keeping shoulders relaxed. · Wrap one hand around the other forearm. · Squeeze the muscles with thumb and fingers. · Move up and down from your elbow to fingertips and back again. · Repeat with other arm. Adults need time-outs, too. So when you sense your temper is about to erupt, find a quiet place to sit or lie down and put the stressful situation on hold. 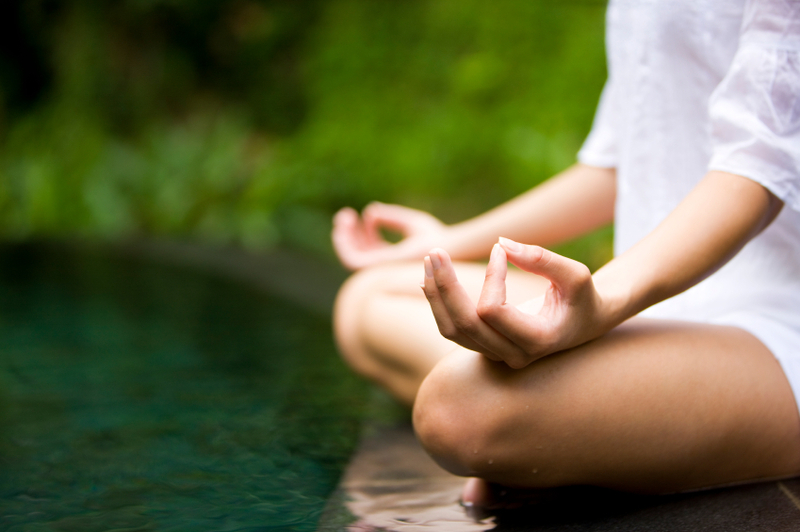 Take a few deep breaths and concentrate on releasing tension and calming your heartbeat. Quiet your mind and remember: Time is always on your side, so relax. The stress can wait. Music can calm the heartbeat and soothe the soul. So, when the going gets rough, take a musical stress detour by aligning your heartbeat with the slow tempo of a relaxing song. And you might want to make that a classical tune. Research shows that listening to 30 minutes of classical music may produce calming effects equivalent to taking 10 mg of Valium. Thirty seconds is enough time to shift your heart's rhythm from stressed to relaxed. The way to do that: Engage your heart and your mind in positive thinking. Start by envisioning anything that triggers a positive feeling -- a vision of your child or spouse, the image of your pet, that great piece of jewelry you're saving up to buy, a memento from a vacation -- whatever it is, conjuring up the thought will help slow breathing, relax tense muscles and put a smile on your face. Creating a positive emotional attitude can also calm and steady your heart rhythm, contributing to feelings of relaxation and peace.